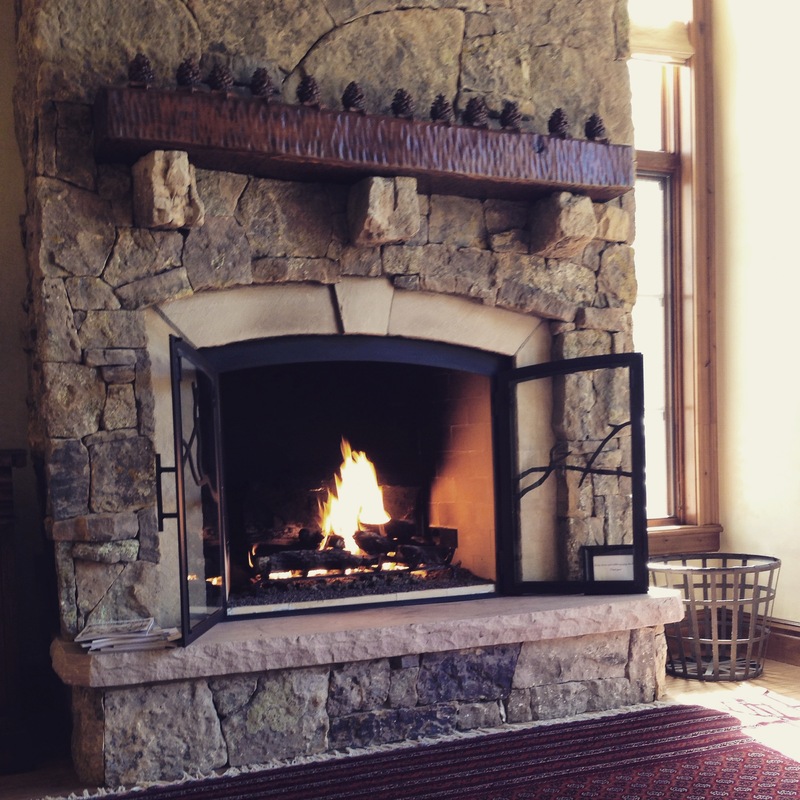 Cozy fireplace at Beaver Creek. My parents visited Colorado from March 21st to the 30th; during that time, we ate out at the few good Chinese restaurants, visited my dad’s old friend in Greeley, and spent time with the rest of our family (my siblings, their spouses and kids) in Beaver Creek. During my parents’ visit, the topic of death came up several times: my dad’s friend’s wife passed away from cancer last year. Now, my dad’s friend lives alone in his house with his daughter visiting weekly since she lives nearby; his son is out of state, though. My dad and his friend sat and chatted for a bit about other friends passing away and how my parents have even ‘joked’ with one another about what would happen if one of them passed away before the other. Another mention of death was when I asked my brother-in-law about their one surviving dog (used to have two: the older dog was put to sleep a couple years ago), and he told me that Mike had passed away only a couple weeks ago. The last time I saw Mike the lab, he was already wheezing with a strange cough, but he held on for the past year and a half. My brother-in-law said Mike passed away in the middle of the night and they buried him along with their other dog and cats that had passed away beforehand. Death is an uncomfortable topic, but it is inevitable. How do we know we’ll see our loved ones the next day? During my parents’ visit, I found myself frustrated quite a few times with their lectures and their nagging at me, but then I also felt guilty feeling that way. After all, my parents aren’t getting any younger; their health seems fine for now, but our family medical history isn’t exactly too stellar. I remind myself to cherish every moment with my parents, both good and bad. Our time on earth is ephemeral so we must be thankful for each moment spent with one another. Life is short: hug your loved ones every chance you get. 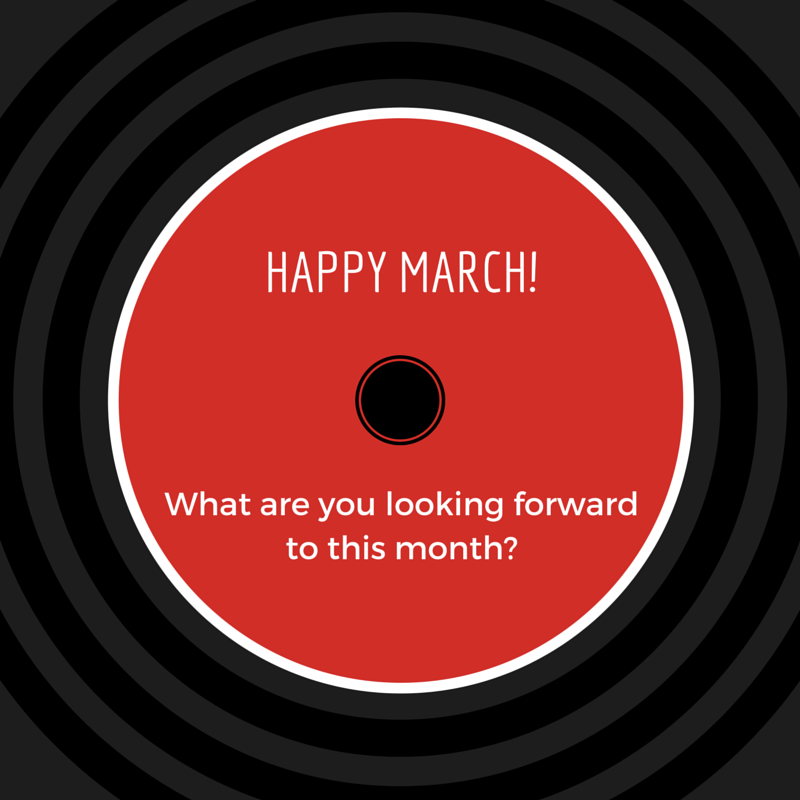 What are you looking forward to this month? Posted this on Ignite Denver’s social channels earlier today. Welcome to March 2015, which seems to have crept up on all of us so suddenly. Just think, after this month, we’ll have already completed the first quarter of the year. Time flies. If you have been following my blog during the past couple of months, you will have noticed my monthly themes. Keeping up with #30PostsBefore30 and #28ChineseMemories these past two months has been great for me to maintain a daily blogging ritual. I can’t say if I have gained more readers through my daily blogging (have been quite busy lately and haven’t checked any analytics or stats), but I have enjoyed writing for myself every day. Now, it is March and I am honestly not sure what to do about this month. 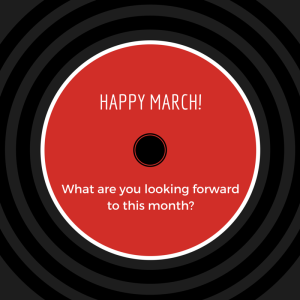 Getting the last several posts written for February was a bit trying for me; I couldn’t think of a theme to consider in time for March. The last two months’ worth of posts were highly reflective and personal for me: I almost feel like if I continue on the same trajectory that I may run out of things to reflect upon from my past. I know I can go about just blogging daily about the mundane ins-and-outs of my present-day life, but I’m afraid with that simple plan that I may lose motivation to blog daily. The monthly theme helped keep me focused on one unifying topic and kept my creative juices going. Hard to say what I will do for this month, but I suppose I will commit to blogging daily, despite what I had just written in the previous paragraph. Onward! Posted on March 1, 2015 Categories Thought of the MomentLeave a comment on So, Now What? This week, I read a statement from someone saying that a life coach is a mentor. This bothered me since I believe this is false. 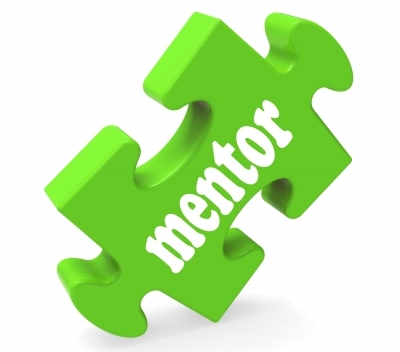 When I hear the word “mentor”, I think of the relationship between someone older/more experienced teaching someone who is younger/less experienced in their career or their life in general. This is a relationship that is based out of trust and mutual agreement: no money is exchanged between the two parties and there is no “end date” for the relationship. I have had several mentors throughout my 20s, and these mentors came into my life through mutual settings, job situation, etc. They have been helpful with giving me direction in my career and also in my life and I am grateful for their selflessness to guide me along my own path. Meanwhile, when I hear “life coach”, the relationship is different: I have come across quite a few life coaches who seem to only do their work because it’s how they make their living, NOT to genuinely help someone out (of course, there are exceptions to this). Also, money is involved in the relationship, where usually you will have x amount of sessions with the life coach until you have to pay up again or end your contract together. Although this relationship can (and should!) be based out of trust and mutual agreement as well, I don’t believe that life coaches can really equate to being “mentors”. Life coaches have different agendas than mentors do. While both relationships are to be beneficial for the mentee/client, when money comes into the picture, the relationship changes from being purely altruistic to more of a transaction. I would like to hear your thoughts on this: do you agree or disagree? 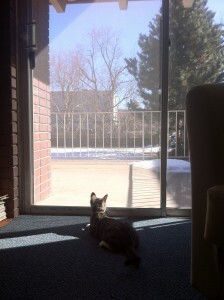 Kitty looking out the window. A young man outside of an eatery came up to me and asked me, “Will you please buy me a drink? If you do, ‘me love you long time.'”. I was right by campus and just strolling to Starbucks when this happened. The comment brought up childhood trauma over when other kids would make fun of me for being Asian. I cannot believe that people still say stuff like this in the present day. I was shaken up by the comment and felt that, no matter how hard I try, that injustice will still follow me throughout my life. How can you judge me by the way I look? I thought we’d all worked past this already. I am American. I can only be what I can be. Last night, I was making soap in my kitchen when I received a knock from the apartment advisor. He showed me a note that somebody in the building had left him, saying that my cat was a bother. So he asked me to “Please get rid of it by next week”. I closed the door and the tears of anger came forth: what has Kitty Softpaws done to deserve this? What have I done to deserve this? 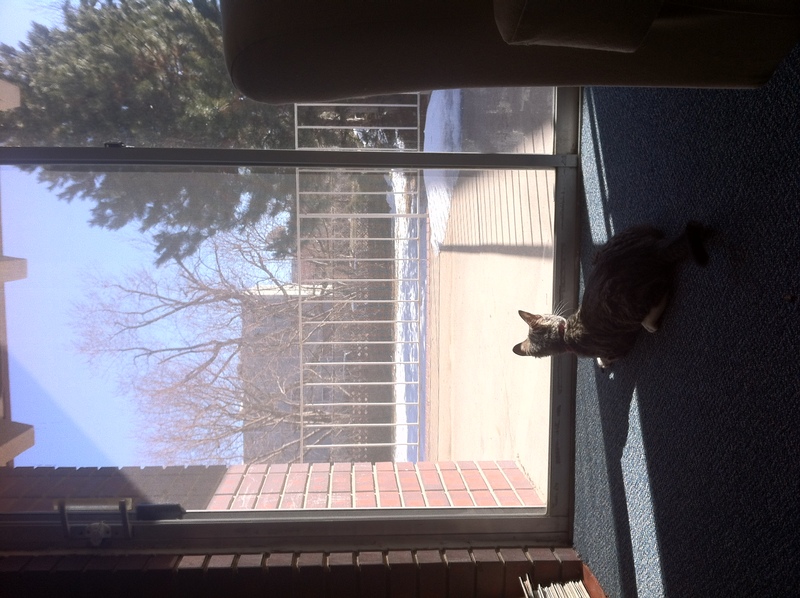 Kitty is solely an indoor cat and is a mere 4-5lbs. She doesn’t make THAT much noise. And…well, really, who could have done this to me? I know nobody in the apartment building aside from a few first-floor residents. Is this a malicious act against me? These thoughts continue to swirl through my mind today as I wonder what wrong I have done to have this happen to me. It all wouldn’t bother me, but it’s a week before finals and I’m already stressed out from schoolwork/company planning. Why now? I question humanity when things like this happen. I know there will always be evil in the world, there will always be low points in life; yet, why this? Why now? The racist comment was enough to set me off yesterday, but then the notice that I’d have to “rid” of Kitty. Do people believe that pets are easy to just “get rid of”? Throw them away, like they’re a worn-out clothing item? Do people believe that denying happiness to an individual is acceptable? I tell you, I have Kitty Softpaws to keep me company and keep me sane. Last quarter was rough for me to stay all alone in the apartment: a lot of emotional roller coasters and overanalyzed thoughts. Don’t I deserve this spot of happiness in my life? I know we can never see things from “the other side”, as hard as we may. But I feel that we can all benefit if we just take a step back from the situations we face and see things more objectively. Insulting someone on their ethnicity is not right: would you want someone to call you a racist name in return? Why do you think it’s ok to hurt another individual because they appear “different” from you? Too much on my mind. I know this too shall pass, but right now it’s hard to move forward without a trace of anger. Posted on March 4, 2012 October 28, 2014 Categories race, Slice of Life, Thought of the MomentLeave a comment on Scars in Humanity. Yesterday, I was in an inquisitive mood and asked a colleague about her flute gigs/performances. “If you could make enough money off of it, would you make it your full-time job?” I asked her this since she was talking enthusiastically about a great recital she performed at recently with a new accompanist. I saw the light in her eyes grow brighter as she talked about how the performance left her feeling so happy and satisfied. I could tell that her true passion lay with her musical abilities. The conversation gave me a lift in my already elevated mood; at the same time, though, it left me feeling somber about how reality hits all of us hard a lot. Many of us can’t do our true passion’s work full-time because it’s not stable income (and sadly oftentimes it is all about the money). Therefore, we go about having “day jobs” and then working on our true passion after we clock out from our day jobs. That’s how it goes in the artist’s world, it seems. There are only a lucky few of us who either can make it, i.e., become well-known/famous, and quit their day jobs for what they love to do, or those of us who end up not caring so much about the money aspect and just go about with their artistic pursuits in pure bliss. There are many times I think of these last two possibilities; many times, the second possibility leans on my mind more as I become more and more restless with everything. It’s not that I don’t enjoy what I’m doing at work now; I do enjoy it all and my co-workers/supervisors keep the atmosphere fresh and fun. But, in my mind, I feel a general restlessness over everything–a real need for change once again. It’s a natural thought that occurs within me; waiting for the next big thing. I suppose that’s why I find it hard to really live in the moment sometimes. Always looking forward or analyzing the past–wondering, when will I finish this work-in-progress? When will I finally have some time to work on revising my drafts? It all moves too slowly for me, but I am trying to understand that patience will pay off in the end. There are cultures in the world where they must wait many many years for things to really get moving in their small villages–yet they do not complain. I shouldn’t complain–I should just live in the moment, and understand that right now is not the time to worry about unfinished work. It’ll get finished when the time is right. Posted on September 18, 2009 October 28, 2014 Categories Thought of the MomentLeave a comment on "If you could…"